Treat someone special to this romantic coin from the Nikki Lissoni collection and show her just how much you love her. 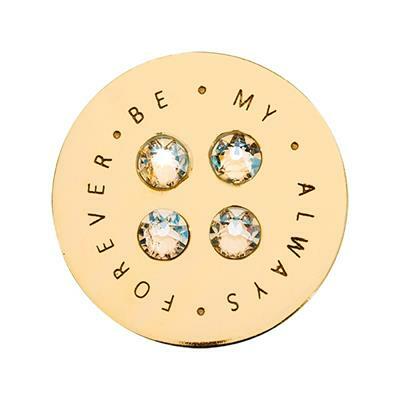 This yellow gold plated coin is engraved with the words 'Forever Be My Always' and sparkles with four Swarovski crystals. For the perfect present, team this coin with a small Gold carrier and a 60cm chain so she can wear it close to her heart.